Some common breast cancer medications can trigger joint pain, but new research suggests acupuncture may ease that side effect. The finding could be a win-win for breast cancer patients, said one oncologist who reviewed the study. These drugs -- which include Arimidex, Femara and Aromasin, among others -- are often used to treat women with estrogen-sensitive breast tumors, Hershman said. But she added that "many patients suffer from side effects that cause them to miss treatments or stop treatment altogether. We need to identify strategies to control these side effects, the most common of which is debilitating joint pain and stiffness." 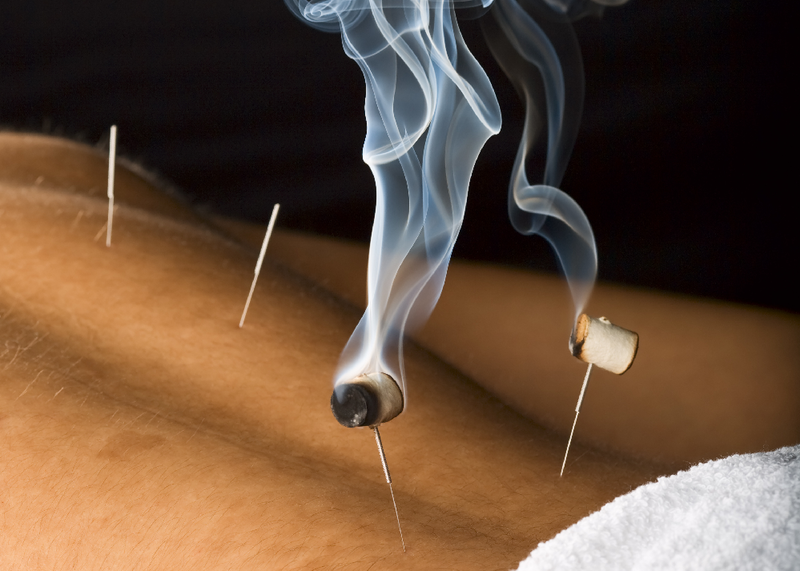 Hershman's team wondered if the ancient practice of acupuncture might help. Of the patients in the study, 110 received true acupuncture, 59 were given fake acupuncture (needles placed at ineffective spots on the body), and another 57 were placed on a waiting list. The patients in the true and fake acupuncture groups underwent twice-weekly sessions for six weeks, followed by one session a week for six more weeks. After six weeks, patients in the true acupuncture group reported much lower pain scores than those in the fake acupuncture or waiting list groups, Hershman's team reported. The study was scheduled for presentation Thursday at the annual San Antonio Breast Cancer Symposium, in Texas. The finding may mean that women with pain related to aromatase inhibitor use might stick to their meds longer if acupuncture eases their joint pain, "but we need to conduct further studies to determine if this is indeed the case," Hershman said in a meeting news release. Dr. Cynara Coomer directs the Florina Rusi-Marke Comprehensive Breast Center, at Staten Island University Hospital in New York City. Reading over the findings, she agreed that "the integration of Western and Eastern medicine is an important path to explore" in breast cancer care and with an opioid-addiction crisis sweeping the United States, "it is important for physicians to find other means of pain control for our patients," she added. "This is yet another study that reveals the benefits of acupuncture in treating pain," Coomer said. Study findings presented at medical meetings should be considered preliminary until published in a peer-reviewed journal. Cardiac arrhythmias increase mortality and diminish quality of life. Several online databases were searched to produce relevant articles examining the effectiveness of acupuncture on cardiac arrhythmias. Acupuncture has been used for thousands of years in Eastern medicine to treat multiple medical conditions and has been documented to improve many aspects of cardiovascular functioning. 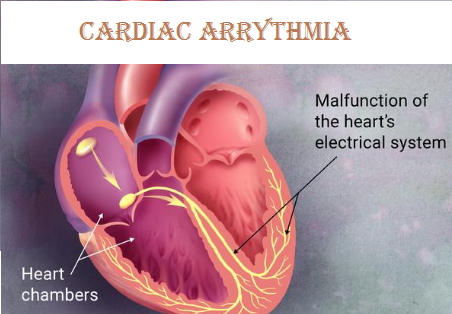 Despite several identified gaps in the efficacy of typical arrhythmia treatments (eg, pharmacotherapy, cardio-version), evidence supporting the use of acupuncture for cardiac arrhythmias has yet to be synthesized. According to the eight studies reviewed, 87% to 100% of participants converted to normal sinus rhythm after acupuncture. Acupuncture seems to be effective in treating several cardiac arrhythmias, but the limited methodological quality of the studies necessitates better-controlled clinical trials. For acupuncture to become a more viable intervention in Western medicine, more rigorous studies are needed with standardized treatment protocols, diverse patient populations, and long-term follow-up. To observe the relation between the pain threshold and the therapeutic effects of acupuncture for sciatica. 90 sciatica patients were equally divided at random into the following 3 groups: a warming acupuncture group treated with the needles warmed by burning moxa, a western medicine group administered Nimesulide tablets and a point-injection group with Anisodamine injected. The pain threshold was tested before treatment and after the first, second and third treatment courses. A. Common minor surgeries of MTP and D&C could be done exclusively under acupuncture anesthesia. B. Deficiency of lactation of newly delivered mothers could be cured within hours. C. With use of acupuncture, post-surgical analgesics were not needed. D. Common problem of post-spinal anaesthetic neck/head pain was cured by acupuncture. The best of textbooks, about use of acupuncture in obstetrics and gynaecology, are written by those who are not primarily obstetrician or gynaecologist or even sometimes medical doctors. They have rarely faced live issues of subjects and their possible solutions. Real time dynamics of ob/gy was never their domain. It for this reason use of acupuncture remains of little use in ob/gy. Highly acclaimed literatures have missed significantly potential uses and advised use in potentially dangerous situations. They also talked of acupuncture in bizarre non existing indications. Purpose of study is find solution to this pathetic situation. Author being himself obstetrician, gynaecologist and acupuncturist has been offering alternative modality of acupuncture in certain situations where he felt it as better options. Author had full insight of problems from allopathic and acupuncture angle. He offered alternative or complementary acupuncture therapy whenever he felt better option after explaining the patients. Author saw major paradigm shift about use of acupuncture in obstetrics and gynaecology. Just one new indication of its use as sole anaesthetic in surgeries like MTPs and D&Cs would save millions of patients from side effects, suffering and cost of millions of Dollars worldwide. There are many more examples like this not given in literature. This is unique situation where obstetrician and gynecologist of 40 years of standing active practice and managing wide variety of patients is using acupuncture with on basis of rationality of both sciences. Not following 3000 years scripts, new avenues have surfaced which may make major impact of use of acupuncture here. About half of women ages 40 to 60 experience bladder leaks, or urinary incontinence, according to the American College of Physicians. And a condition called stress incontinence—leaking urine when you cough, sneeze, exercise, or laugh—is one of the most common types. Treatments, which often include drugs and surgery, can be problematic and costly, but a study out today in JAMA offers encouraging evidence that acupuncture may be an easier alternative. 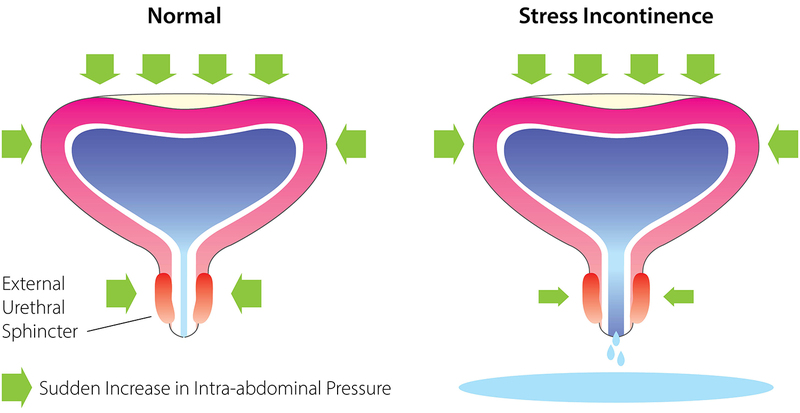 Chinese researchers looked at 482 women with stress incontinence. Half received a type of acupuncture called electroacupuncture (EA), where needles that have been inserted into the skin are stimulated with low-level electric current, while the others received a placebo technique. After six weeks of treatment, the average amount of urine expelled during tests designed to stress the bladder dropped by 9.9 grams (about a third of an ounce) in the acupuncture group compared with 2.6 grams in the women in the placebo group. That’s a bigger improvement than what's been seen in studies using an exercise program to strengthen pelvic floor muscles. In addition, 38 percent of the acupuncture group reported that the number of times they experienced bladder leakage was cut at least in half. Just 23 percent of the placebo group had similar results. The acupuncture group continued to experience less leakage and reported greater improvements on a quality-of-life questionnaire 24 weeks after the treatment ended. In this study, the researchers inserted needles into the sacrum, at the lower end of the spinal cord, and left them in for 30 minutes. Although they aren’t sure exactly how acupuncture works to affect stress incontinence, they believe it may target part of the pudendal nerve, which controls the muscle that helps close the urethra, and help improve contraction of the pelvic floor muscles. “For women who are frustrated with past treatments or looking for a noninvasive option before or after surgery, electroacupuncture could be helpful," says Moyad. "But before considering any treatment for incontinence, work with a urologist or urogynecologist to determine the exact type of incontinence you have. That will determine the best treatment plan for you. "Many women have mixed type: a combination of urge (aka overactive bladder) and stress incontinence," he adds. Acupuncture treatment of diplopia associated with abducens palsy: a case report. Abducens palsy (ie, sixth nerve palsy) is the most common single extraocular muscle palsy. The primary symptom is double vision. The treatment goal is to correct the underlying cause. If no cause is identified or the palsy is related to a well-managed chronic disease, treatment consists of patching one eye or applying a temporary prism. We report a patient whose abducens palsy resolved with four acupuncture treatments. The patient, a 58-year-old Vietnamese man with diabetes mellitus, presented to our institution's ophthalmology department with sudden onset of double vision. Ophthalmologic examination resulted in diagnosis of isolated left abducens palsy. The patient received a temporary prism for symptomatic relief. With no improvement after 2 months, he presented to our integrative medicine program inquiring about acupuncture. He received four acupuncture treatments over 11 weeks with complete resolution of his diplopia. This case is suggestive that acupuncture may be helpful treatment of patients with abducens palsy.